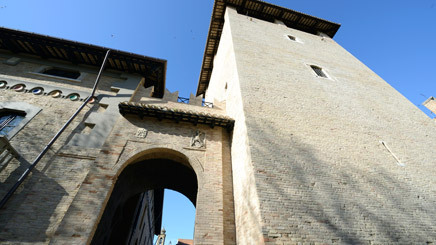 The tower, that nowadasy is suitable to host a really important event such as a wedding, is a real treasure. The Alex Tower offers a wonderful view that goes from the Adriatic Sea to the Majella, up to the Gran Sasso: an unforgettable frame, perfect for your photo service. The tower, that has 3 meters large walls, was built by the Longobardum; it is 24 meters high and overlooks the main square of the city. Under the basis of the Alex Tower were found some ruins that testify the presence of a Roman tank. Recently, during the excavations, close to the Tower were found big Roman amphora for oil. It is supposed that the name “Alex” comes from Alessandro Valignani, marquess of Cepagatti, in 1632. Today the Tower is the emblem of the city.